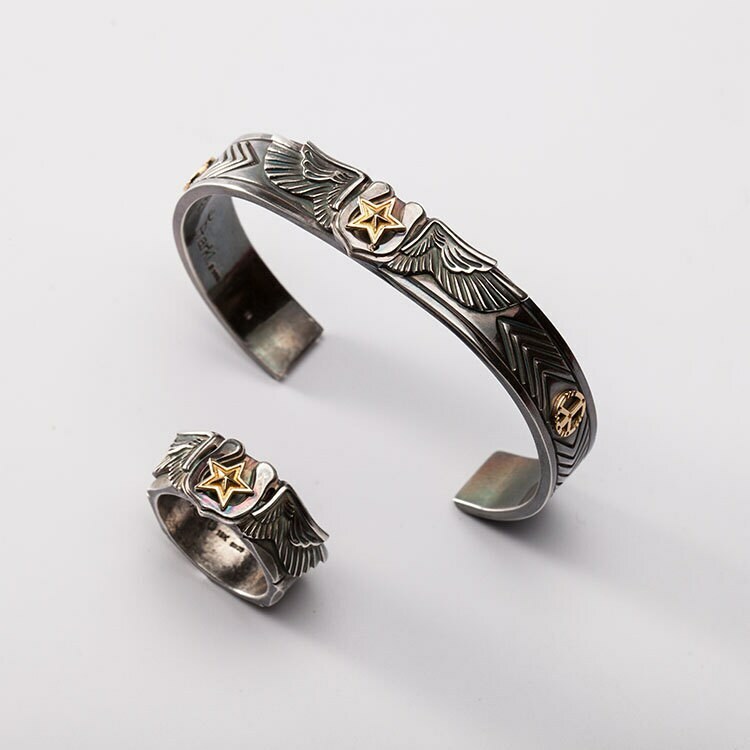 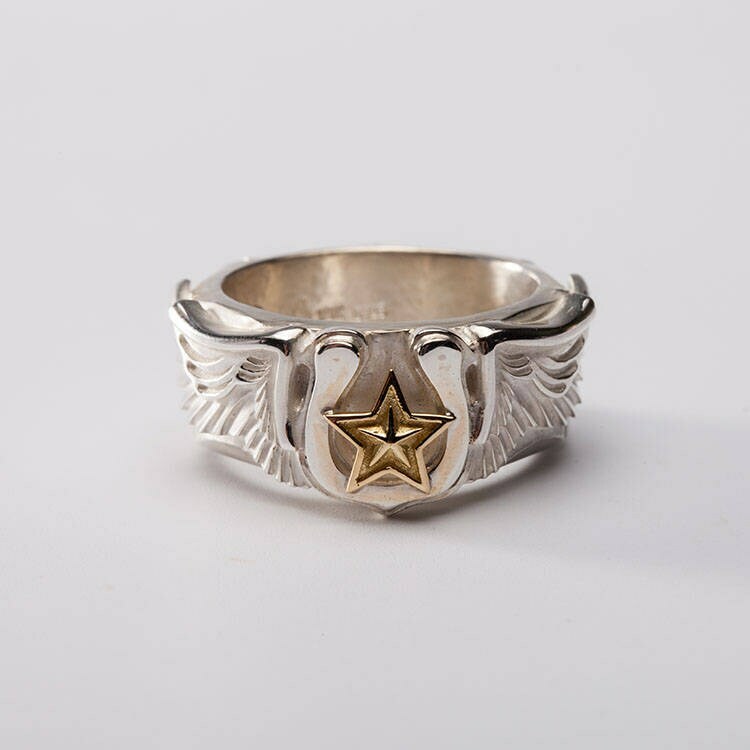 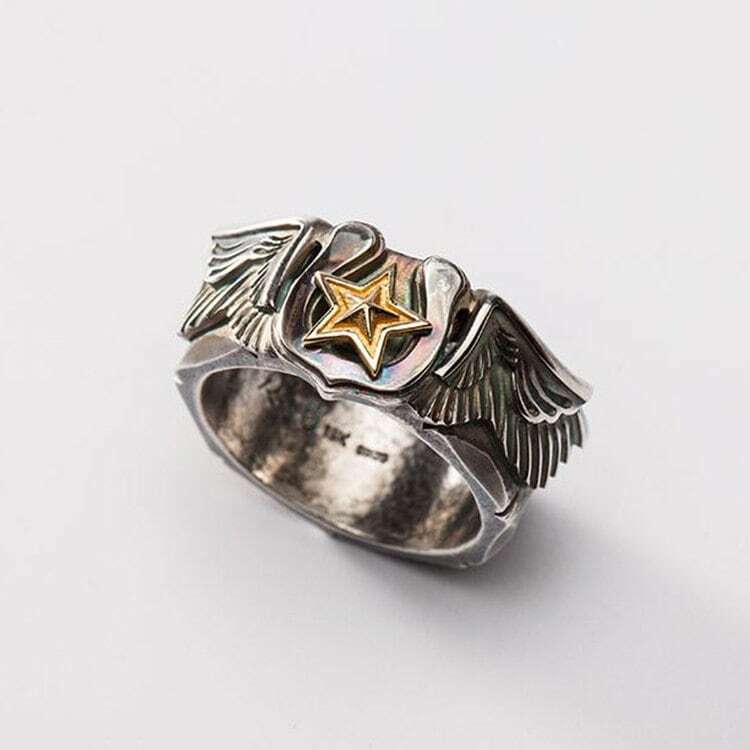 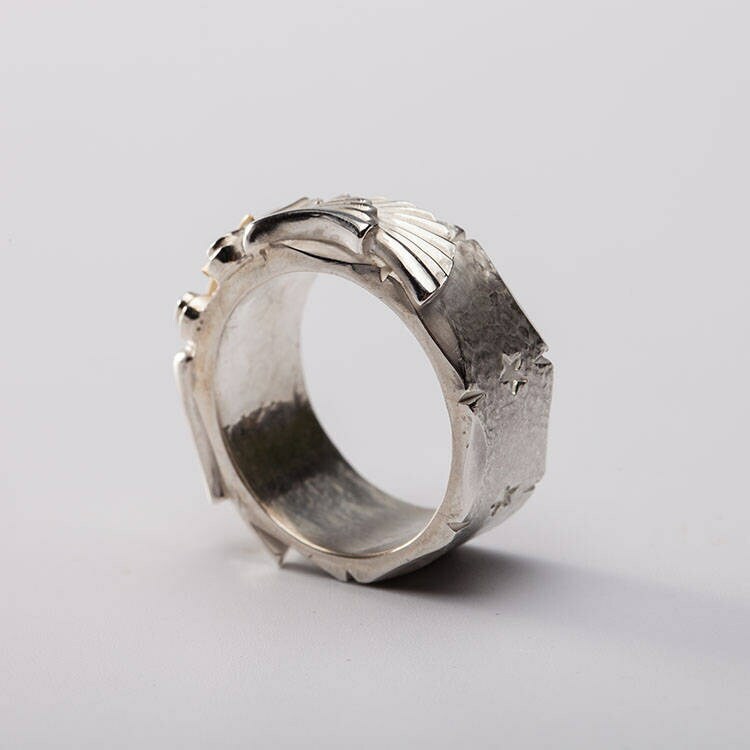 A silver wing ring that features an engraved silver band - and decorated with a pair of angel wings. 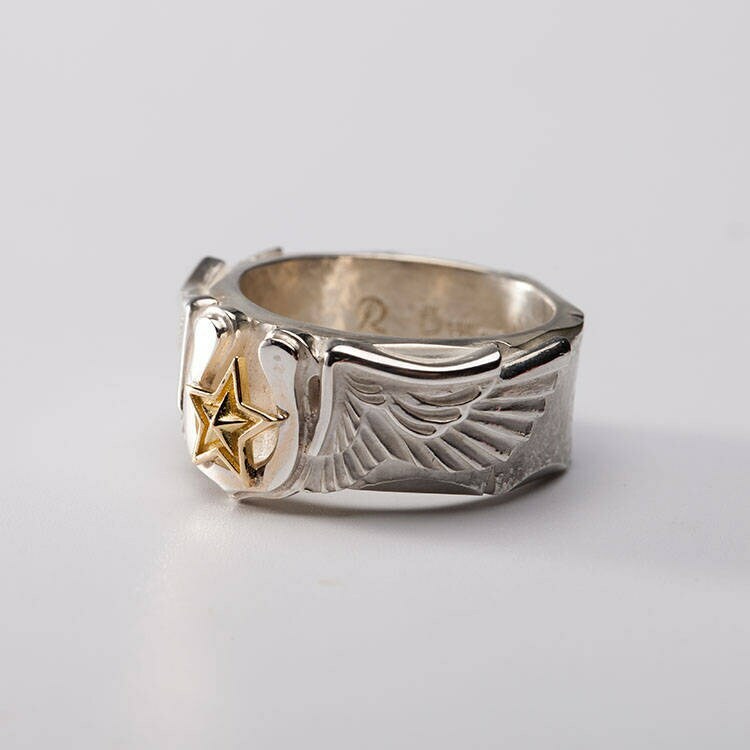 The centerpiece of the angel wing ring is the tiny horseshoe charms, with a 18K gold star overlaid on it. 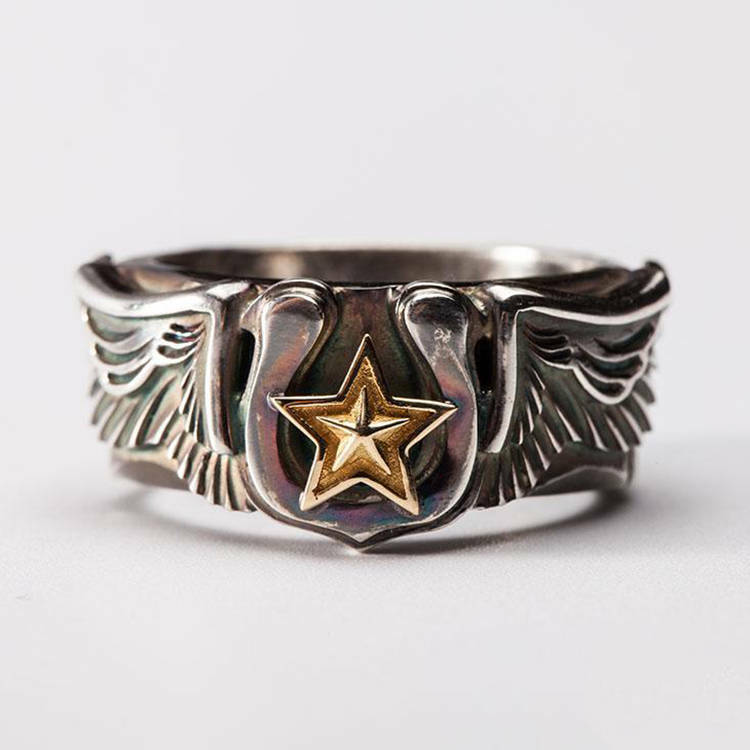 The angel wings flank this centerpiece on both sides. 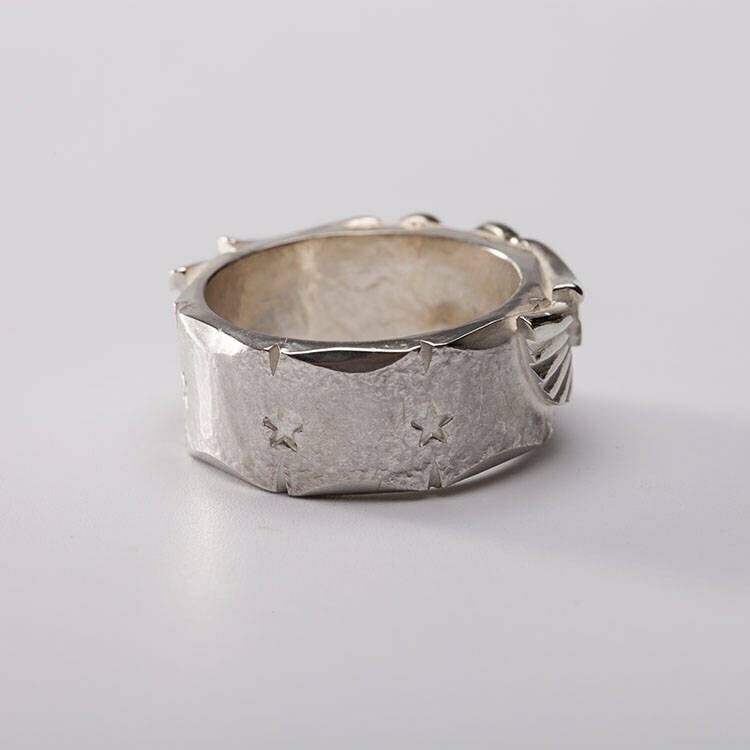 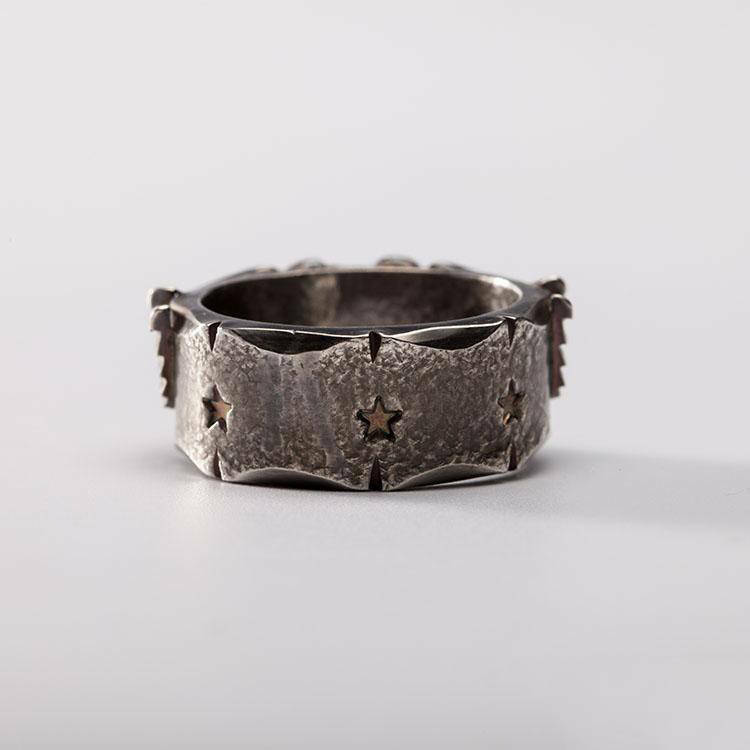 The rest of the silver band carries tiny engraved stars and scalloped edges. 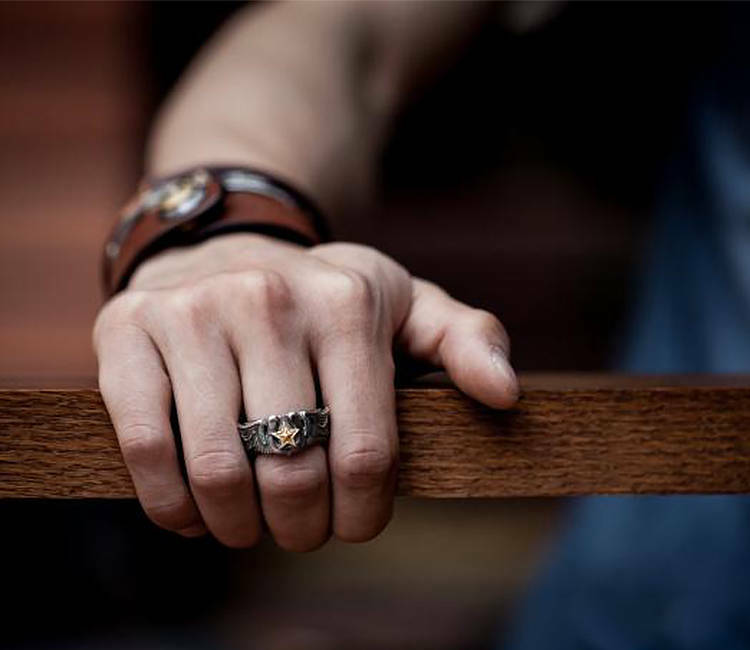 You can buy the ring with an original polished finish, or you can opt for a rugged oxidized finish. 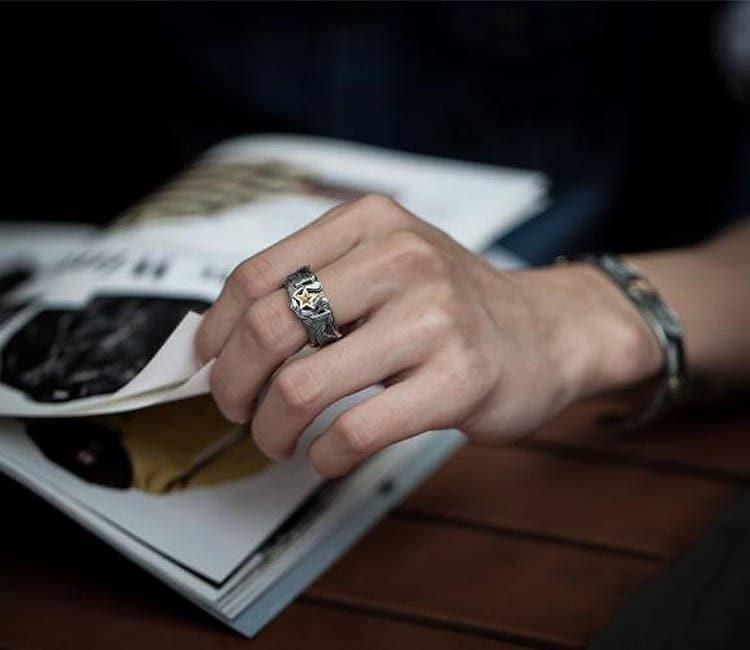 Whatever your choice - the ring looks equally awesome in both cases.